Elizabeth Haegele is owner and operator of Fine Garden Creations, LLC. FGC specializes in high-end residential and public space horticultural design, installation, and maintenance in the Delaware Valley. Elizabeth is a graduate of Drexel University in Business Administration and The University of Pennsylvania's Master of Environmental Science program, where she studied the unique plant community that inhabits serpentine barrens in southeastern Pennsylvania. She recently completed the Goldman Sachs 10,000 small businesses program. Prior to owning a landscaping business, Elizabeth spent much of her career in public horticulture throughout the Delaware Valley and New York City, starting at the Brooklyn Botanic Garden and earning a Certificate in Horticulture. She has a keen understanding of the challenges and possibilities of urban horticulture. Her business focuses on sustainable solutions and practices that benefit both the aesthetic of a space as well as the health of the living community around it. This year, FGC was honored to be awarded the work to install and maintain the new central garden beds in Rittenhouse Square, the second most used park in Philadelphia. Elizabeth is an active volunteer for rescuing and helping to adopt homeless animals in Philadelphia. 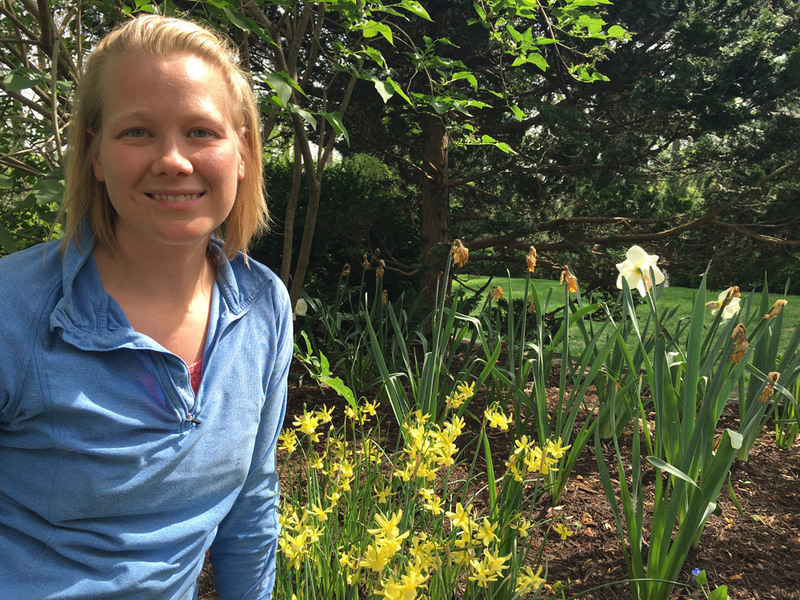 She developed and facilitates Nature’s Narratives, a book discussion group for the Scott Arboretum of Swarthmore College’s gardening and membership community. A lover of the outdoors, Elizabeth also thru-hiked all 2,200 miles of the Appalachian Trail in 2009. She lives in Bucks County with her husband and cats.